iasgroup is a specialised asset preservation, maintenance & decommissioning solution provider. The Company recognises that our people are our most important asset and are very focused on building a culture that people want to work for and clients want to work with. We deliver effective solutions for the preparation, preservation, remediation, removal and replacement of assets in the Asia Pacific region. Our innovative solutions are focused on providing improved safety, operational uptime, asset life extension and cost effectiveness and are leading the way in the Oil & Gas, Mining, Public Infrastructure and Industrial sectors. 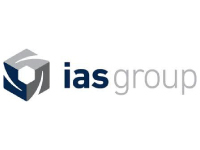 iasgroup is an Australian owned and operated company who’s members have been providing engineered solutions and specialised services to industry since 1996.